Between the Hundred Years’ War, famine and the Black death, France lost half Its Population and it took them a full century to recover. How did they cope? This Question leads us to Boëthius and the concept of the Wheel of Fortune. Anicius Manlius Severinus Boëthius (480–524 or 525 AD), was a “Roman scholar, Christian philosopher, and statesman.”[i] Among other things, Boëthius was an accomplished theorist of music which he introduced in the Quadrivium. [ii] He and particularly Cassiodorus are the architects of an educational system that lasted from the sixth century until the Renaissance and remains a reference. Born in Rome, to a Patrician family, a Christian, the son of a consul, a senator and consul, the father of two consuls, and the descendant of emperors, Boëthius rose to great heights. 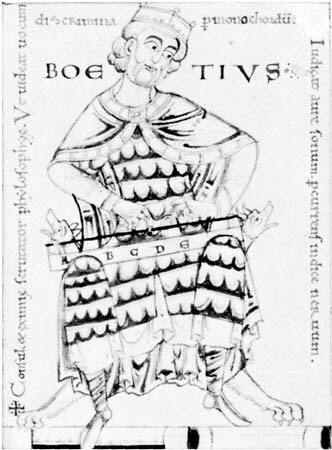 In fact, in 1520, Boëthius became magister officiorum (head of all the government and court services) to Theodoric the Great (454 – August 30, 526), a king of the Ostrogoths (471–526), who also made himself king of Italy (493–526) and later became a viceroy of the Eastern Roman Empire. However, Theodoric the Great had espoused Arianism, a doctrine, later declared heretical, according to which Christ is a finite creature. There truly does not seem to be any justification for Boëthius’s fall from grace. Yet, in 1524, Boëthius and ex-consul Caecina Decius Faustus Albinus were suddenly accused of treasonous correspondence with to Justin I, the Byzantine emperor (518 to 527). Boëthius was tried, pronounced guilty and condemned to death by Theodoric the Great. 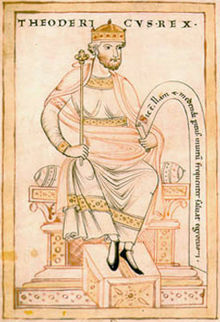 Other reasons were brought to bear, such as the use of magic, but it seems Theodoric had simply grown fearful of Boëthius who was an accomplished Hellenist, and whose official capacities may indeed have led to his meeting Justin I (c. 450 – 1 August 527). 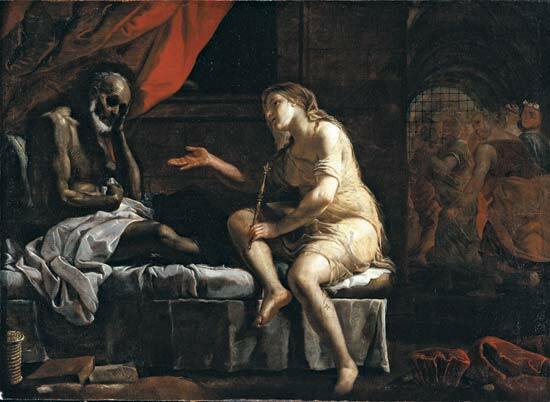 Boethius and Philosophy, oil on canvas, by Mattia Preti,* 17th century. However, while he was a prisoner, Boëthius wrote his most famous and lasting work: The Consolation of Philosophy (1524). In this work, one of the “Great Works,” Lady Philosophy does at times appease Boëthius. Moreover, although Boëthius did not invent the idea of a Wheel of Fortune, in his Consolation of Philosophy (524), he nevertheless wrote about Lady Fortune. I know how Fortune is ever most friendly and alluring to those whom she strives to deceive, until she overwhelms them with grief beyond bearing, by deserting them when least expected. … Are you trying to stay the force of her turning wheel? Ah! dull-witted mortal, if Fortune begin to stay still, she is no longer Fortune. Besides, although a concept such as the Wheel of Fortune may seem totally unacceptable to believers, it was not so condemnable as one may first think and it retains validity. For instance, there can be no doubt that alluding to the whims of Lady Fortune is/was a better recourse than scapegoating. During epidemics of the plague and the Black Death (1448-1450), a pandemic, communities often rounded up the Jews and burned them at the stake. As for faith itself, in the face of a pandemic, many may have doubted the existence of a good God. Yet, faith may also have been sustenance to victims of the plague. For Christians, there was a God who was a good God, and, after death, victims of the plague would forever live in His Paradise. So both faith and fate may have helped the dying. The dying were the victims of fickle Fortune, which meant they could not escape their catastrophic circumstances, but they were going to Paradise. But to return to Boëthius, whom Lady Philosophy could not fully reassure, he was first and foremost Theodoric’s victim and, therefore, a man’s victim, a man who had espoused Arianism (not to be confused with Aryanism) and who feared Boëthius. So Boëthius was very much a victim. He had hoped there would be greater unity between the Western and Eastern churches, which could not have pleased Theodoric. La Fontaine, in “L’Homme et la Couleuvre,” or “The Man and the Serpent” (click on title to see blog), an earlier blog, gave the Serpent superiority over man. By and large, the worst evil is usually perpetrated by human beings and human institutions, not to mention that human beings tend to close their eyes when fellow human beings are experiencing great distress. [i] James Shiel, “Anicius Manlius Severinus Boethius.” Encyclopædia Britannica. Encyclopædia Britannica Online. Encyclopædia Britannica Inc., 2012. Web. 21 Feb. 2012. 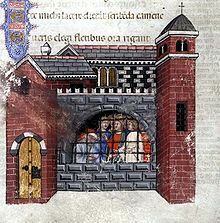 <http://www.britannica.com/EBchecked/topic/71328/Anicius-Manlius-Severinus-Boethius>. [ii] We owe the development of the Medieval to Renaissance curriculum to Boëthius and Cassiodorus. The Quadrivium included arithmetic, geometry, music, and astronomy. It followed the Trivium, which included the study of grammar, logic, and rhetoric. [iii] “Cassiodorus.” Encyclopædia Britannica. Encyclopædia Britannica Online. Encyclopædia Britannica Inc., 2012. Web. 21 Feb. 2012. <http://www.britannica.com/EBchecked/topic/98234/Cassiodorus>.